If the US chooses to occupy Libya, it risks being dragged into another guerrilla war akin to the one it already has in Iraq, former Russian ambassador to Libya Aleksey Podtserob told RT. ­RT: You met Mr. Gaddafi in person lots of times. What impression did he make on you? Aleksey Podtserob: Gaddafi is a very purpose-oriented politician. He sets himself a goal, does his best to achieve it, and knows how he should go about it. That’s on the one hand. On the other, he is not a blinkered politician. When he makes mistakes, he knows how to analyze a new situation, to draw conclusions, and to find a way out of what sometimes seemed totally hopeless predicaments. So, it is not for nothing that he has been at the head of Libya since 1969, longer than any other leader the world over. RT: You said he was an achiever. Was this at any cost? AP: What does it mean – at any cost? In politics, you always keep in mind the price that you should pay. Gaddafi occasionally went far but it wasn’t too far, and whenever he did that he soon realized that he was going too far. RT: As the Middle East uprising spread it seems that different leaders became harsher in their response. In Tunisia, the president came out with concessions. In Egypt, concessions came with attacks. In Bahrain it was violence. Now Gaddafi promises to fight to the last drop of blood. If he prevails, other dictators will know what course to follow. AP: I wouldn’t draw up a cause-and-effect sequence like this. You see, each case is unique. What happened in Tunisia? 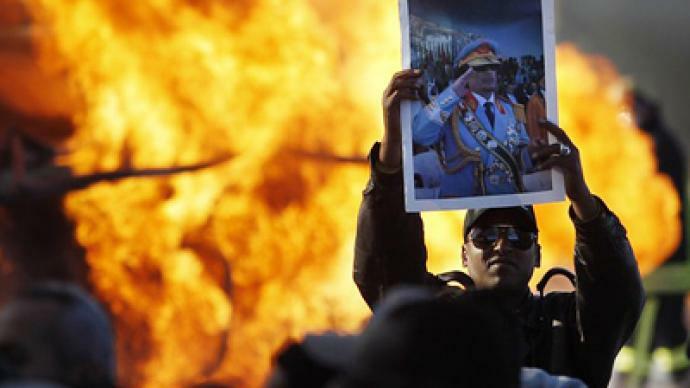 In Tunisia, a palace coup was superimposed upon popular protests. The Chief of Staff came to the President and said: Your time is up; your plane has been filled with fuel and is awaiting you on the airfield. It was the army that didn’t back the president. In Egypt, the army remained neutral until Mubarak stepped down, but no one unleashed it against the protesters. But in parallel there were different things too. In Algeria, where student unrest began, it was dealt with in a sufficiently ruthless manner. The same thing happened in Yemen. You see, I wouldn’t draw up a direct connection here. Neither would I say that Libya will be an example for others. RT: What forces are likely to replace Gaddafi after he is gone, which seems just a matter of time now? AP: You see there is a grave danger in this respect that comes from the fundamentalists. 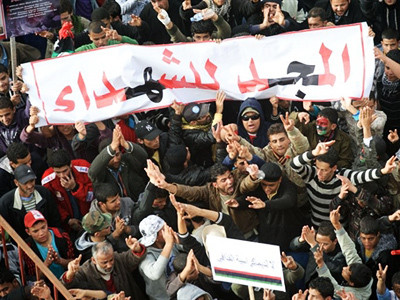 Libya has two major opposition groups. It’s not certain that they will come to power, but the chances for that are rather good. One is the London-based National Front for the Salvation of Libya (NFS), which is not Islamist, but the leading group among those affiliated with the NFSL is the Muslim Brotherhood. The other organization is the Libyan Islamic Fighting Group that draws its support from Libyan immigrants in Europe. As early as 1996, it sent its militants to Libya in an attempt to start guerilla warfare in the Cyrenaica [region on Libya’s east coast]. A third point is Al-Qaeda. An Islamic emirate has been proclaimed at Derne, as you perhaps know. 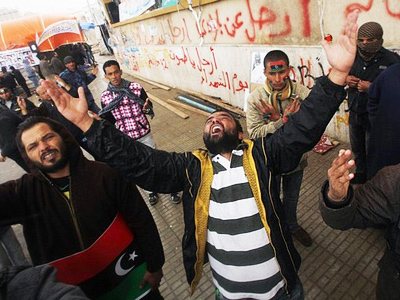 Al-Qaeda is now focusing on Libya, which is only natural. 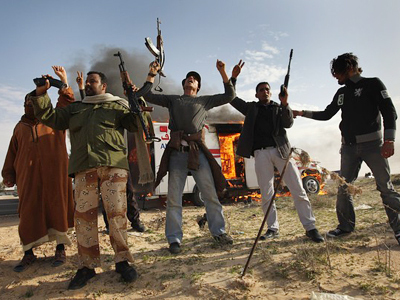 Libya looks like a weak link where al-Qaeda may gain success. RT: They didn’t just proclaim an emirate. It was a former Guantanamo prisoner who did that. What consequences could this have? AP: If the fundamentalists come to power, the consequences will be serious. They are not moderate fundamentalists like in Egypt or Tunisia. They are extremists; the radicals. This means that inside the country they’ll attempt to impose a dictatorship on their own people. What for? To put into practice their principles: an Islamic state, an Islamic economy, etc. It’s yet another egalitarian utopia, and utopias are always imposed only by means of a dictatorship and only by force. The foreign policy area will be what we have repeatedly seen before. There’ll be attempts to export Islamic revolutions and wherever possible to support fighters for the faith. 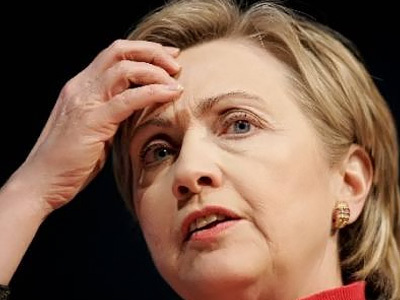 Throw in the fact that Libya is chock-a-block with weapons and that Libya has financial funds. So, the consequences, if the fundamentalists come to power, will be mostly negative. Let me emphasize this “if” because their coming to power is not anything certain, but such a possibility does exist. RT: There is a view that democracy in the Middle East is the right of the majority to suppress the minority and that democracy there is seen differently than in the West, do you agree? AP: You see, the Americans believed and seem to believe even now that it’s enough to build an Arab capital, a White House and everything will be OK. They did so, in Baghdad. What’s the result? A civil war that lasts since 2003 until this day! The problem of democracy in the Arab world is a very complicated one. What is going on now is determined by two factors that are linked to democracy. They operate not only in Libya but elsewhere in the Arab world. One is their new generation, a well-informed generation that has been brought up on television, radio and the Internet, a generation of people who want to be citizens rather than subjects. RT: Is it likely that a united Libya could end being broken up? AP: In the territory of Libya? Yes, of course. 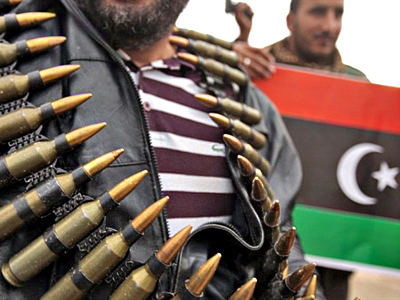 Libya is facing two grave problems. As a country, Libya exists since the time of the Italian occupation. The name “Libya” itself was invented by the Italians. Before that there were three Turkish provinces: Tripolitania, Cyrenaica and Fezzan. And the regionalism plus the separatist moods in Cyrenaica have never ceased. There are many tribes and they are locked in rivalry with each other. 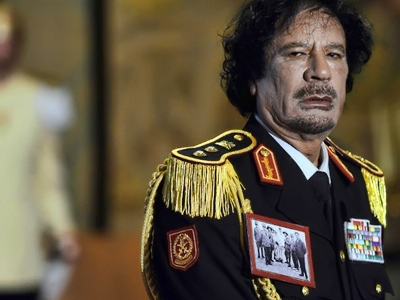 Why has Gaddafi held power for so long? Because Gaddafi belongs to a small tribe, the Qaddadfa. This tribe took power into its hands, but it was unable to penetrate all the pores, or control the entire state. It secured the balance between the tribes. I mean the tip is the Qaddadfa, and the rest are all other tribes. So, Gaddafi kept hold for so long because the other tribes were afraid that intertribal infighting would ensue after Gaddafi and the Qaddadfa left. Again, I don’t want to say that everything will happen precisely in this way. But, of course, the chances that Libya will explode because of the rivalry between the regions, on the one hand, and because of the rivalry between the tribes, on the other, do exist. RT: Less than two years ago at the G8 summit in Italy, world leaders sat at one table with Gaddafi and talked huge business deals. Gaddafi felt free to set up tents on the lawns near the government buildings. But everybody knew back than who they were dealing with. Why is it only now that they’ve started talking about human right violations in Libya and the need for radical change? AP: Libya has an organization called the National Oil Corporation (NOC). It’s a huge state-run enterprise that controls the bulk of oil extractions in Libya. Concessions account for a very small share. So, the NOC was expected to go private and to be sold abroad to foreign companies, American in particular, and British to some extent. Naturally, the Americans and the British were very happy with that perspective. But that prospect collapsed. And when that happened, it turned out on the first occasion that Gaddafi was a bloody dictator and that liberal reforms were needed. Liberal reforms may imply, among other things, the privatization of the NOC. 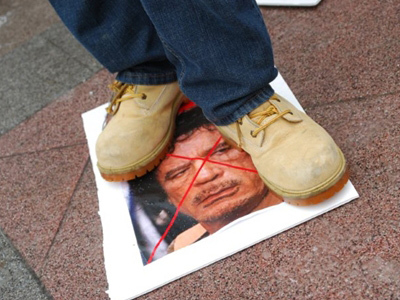 The anti-Gaddafi rhetoric started when the right conditions emerged. 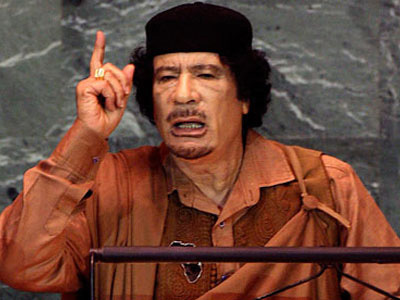 Just look, the bombings of the Pan Am jet and the UTA aircraft caused a campaign against Gaddafi; prior to that there was a campaign against Gaddafi’s support for the Irish Republican Army. We’ve seen all that before. Incidentally, as far as plane explosions are concerned, aircraft shouldn’t be blown up. It’s really horrible. It’s a terrible thing. The Israelis shot down a Libyan aircraft which was just off-course over the Sinai in broad daylight in 1973. It was an ordinary passenger airliner with 150 people onboard. The Israelis shot it down without warning and not by mistake. But no Security Council meeting or sanctions followed the incident. Does anybody remember this shot down Libyan plane now? It just seemed appropriate to mention it as an example of double standards and double approaches. RT: What’s going to happen if NATO intervenes in Libya? 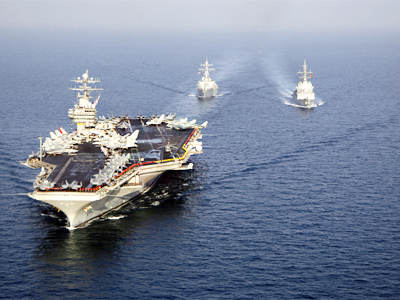 AP: Well, it will certainly take them one, two or three days at most to destroy the Libyan army. Part of the army, some of its units, have switched over to the side of the protestors, others have scattered. There’s no doubt about that. But what’s next? And then do they want a repetition of Iraq, do they want a guerrilla war? Do you think that if NATO comes to save the Libyan people from Gaddafi, their reaction to it would be any different from the reaction of the Iraqi people when they were being saved from Saddam Hussein? It’s going to be the same. The Libyan people will consider them to be occupiers. Will Al-Qaeda, the National Front for the Salvation of Libya or the Libyan Islamic Fighting Group consider them to be their rescuers? It’s not going to be so. They will fall into the same trap once again, and that’s it. RT: The events in the Middle East are nearing the borders of CIS. How could this affect Russia? AP: Nothing tragic will come of it. 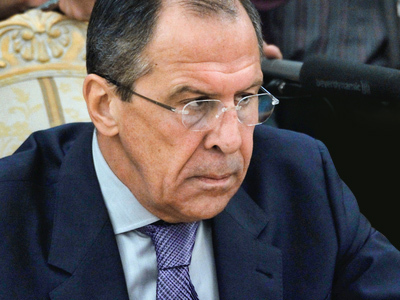 Whoever comes to power in the Arab world, representatives of the old classes and social strata or some new people, the Arabs will always be interested in co-operation with Russia. Why? Because when Arab countries have relations with Russia, international relations become more balanced, without one-sided shifts in the direction of the United States and the West on the whole. Here is where their interest lies. Therefore, all these changes are unlikely to seriously damage our relations.